I am the co-founder of a startup called We Are The New Farmers. 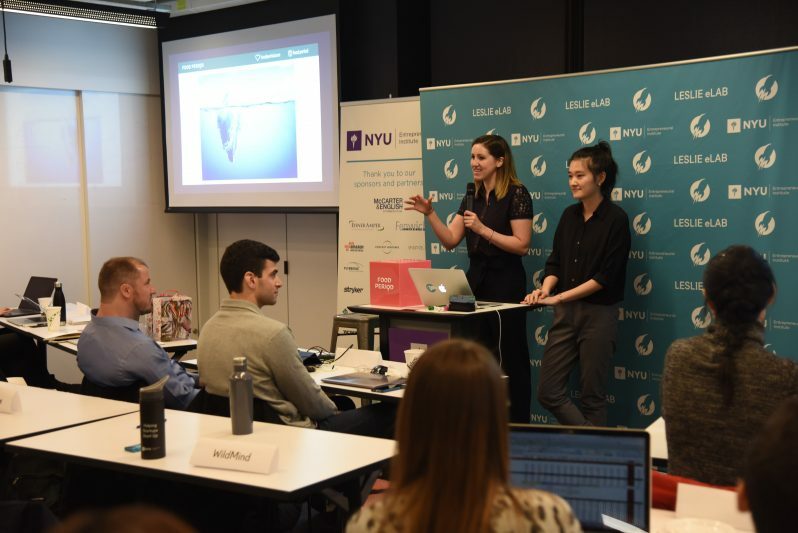 During the summer months of 2018, we took part in the NYU Summer Launchpad accelerator program to evaluate and develop the idea of an urban algae farm. 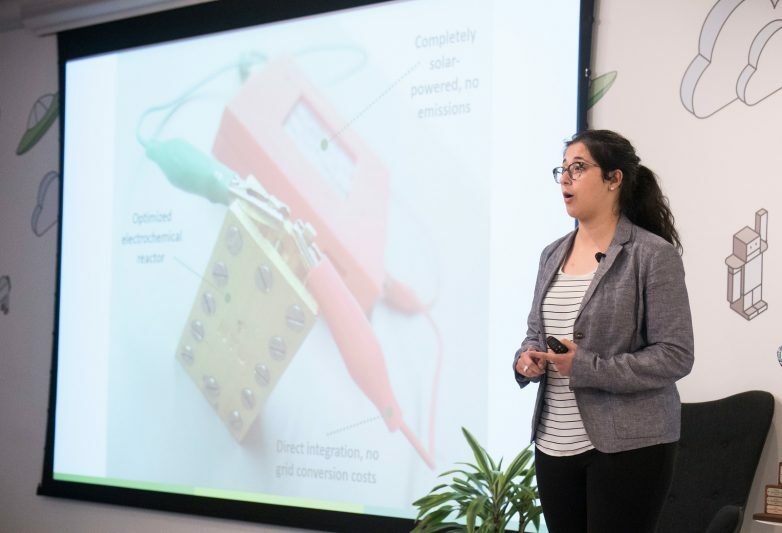 We had spent the previous months at the university developing technology to grow the microalgae Spirulina in closed systems, but now it was time to understand the customer and whether there would be an interest in our product. We knew that the microalgae Spirulina is commonly used as a nutrient supplement. However, we had difficulties getting in contact with current users of the dried supplement. Even after spending hours in the aisles of supply shops, we had conducted almost no interviews with Spirulina users. 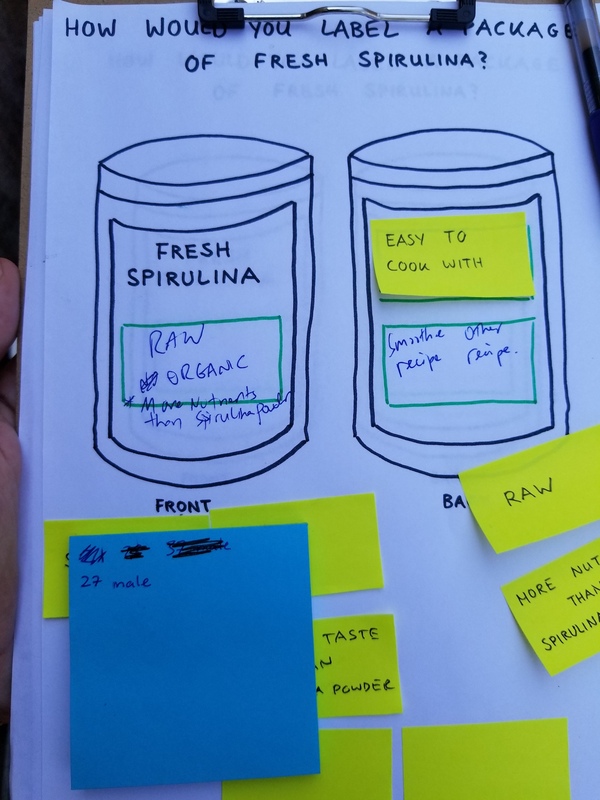 This is when we designed an experiment to get in contact with our potential customer group: We decided to hand out Spirulina “health shots” on farmers markets and in parks to anyone interested. We did not mention our business idea. Instead, we wore our student IDs around our necks and approached people in the name of research. 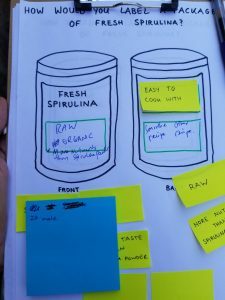 We spoke to hundreds of people about their health habits and their current Spirulina consumption. 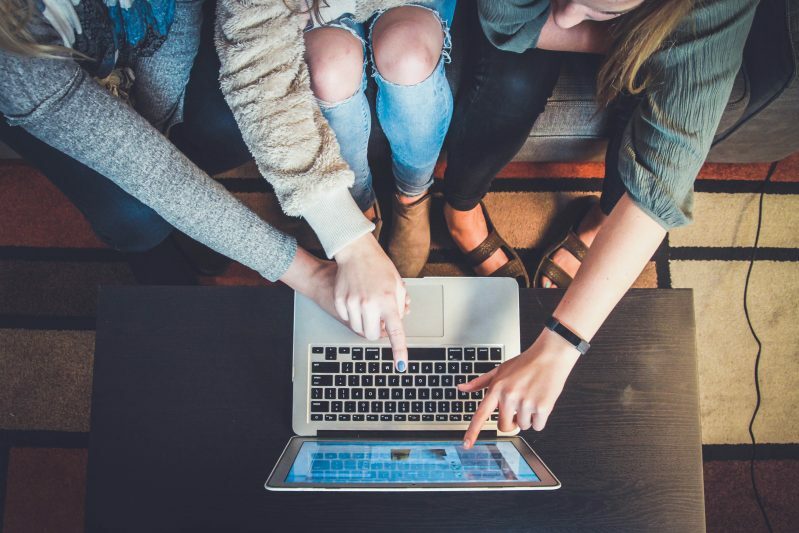 We collected the contact information of individuals who could fit our target audience and followed up with in-depth interviews. Since our first pop-up experiment turned out to be a success, we decided to add a second layer of interaction to learn more about our specific target group. After offering a free shot of Spirulina, we asked our prospects if they were currently using Spirulina. 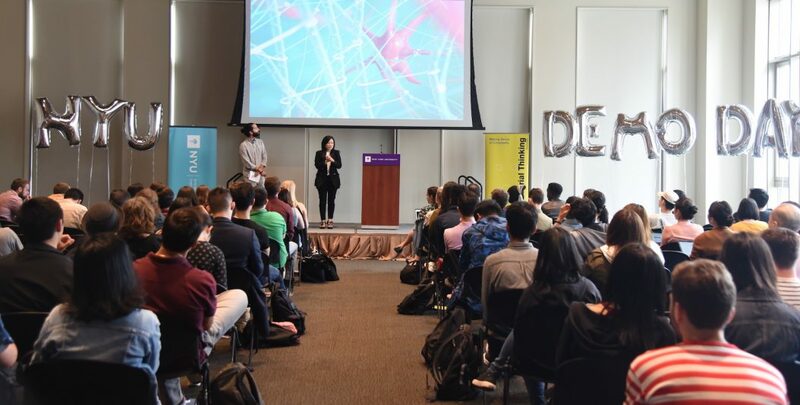 We asked the individuals who were current users to be part of an ad-hoc design challenge to create the packaging of an alternative Spirulina product. We prepared a drawing of a package of a Spirulina product with missing claims. 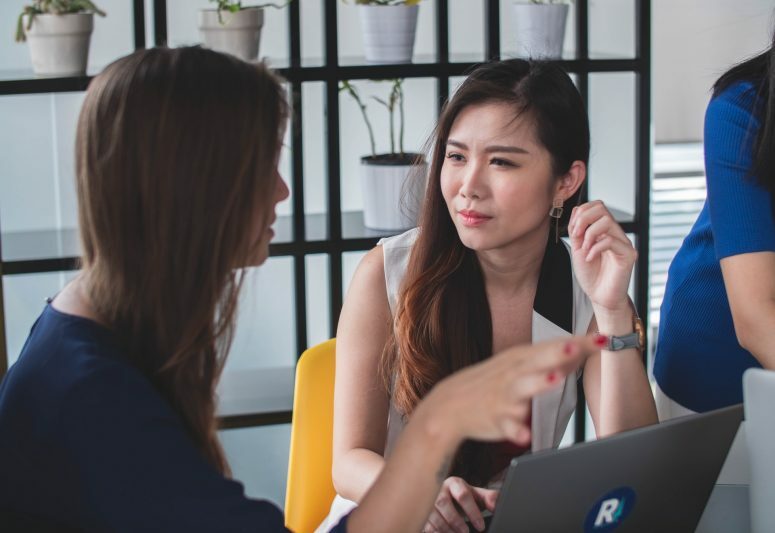 We provided a variety of different claims based on our previous interviews that individuals could place on the package. We wanted to understand which claims were most relevant to our target group and therefore would be placed most prominently on the package. We could quickly rule out some of our previous assumptions about what is most important to our customer. Today, we are producing fresh Spirulina in the Brooklyn Army Terminal. We are selling our Spirulina product primarily online and our packaging has been strongly influenced by the interviews we conducted during the summer. Although the Launchpad program is long over, we kept the spirit of experimenting and try to conduct tests for almost everything we do.